The Lopesan Costa Bavaro Resort Spa & Casino Adults Only Club Rooms are located in a unique, exclusive and peaceful area of the hotel, where only adults are allowed. With an elegant and sophisticated vibe, the Lopesan Costa Bavaro Resort Spa & Casino Adults Only Club Rooms come with everything necessary for a fantastic holiday. Including air conditioning, a 50" television with satellite TV, a minibar, a safe, an iron and ironing board and a telephone with a direct outside line. What's more, thanks to our complementary Wi-Fi, you can upload photos and videos of your holiday and keep up to date with the news. 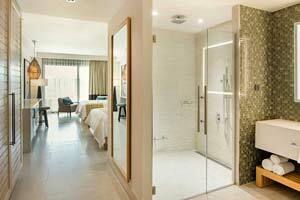 The spacious bathroom has a rain shower, a large sink, a hairdryer and bathrobes, amongst other bathroom amenities. Guests who choose to stay in one of the Lopesan Costa Bavaro Resort Spa & Casino Adults Only Club Rooms are in for a real treat thanks to the exceptional service offered and their exclusive nature. And if that's not enough, they also get access to an exclusive pool and bar. Imagine unwinding in a spacious, vibrant room, full of light. And now imagine doing this in such a specular and exclusive location as Playa Bavaro, in Punta Cana. 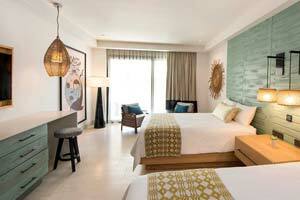 This is exactly what the Lopesan Costa Bavaro Resort Spa & Casino Adults Only Junior Suites Tropical offer guests. These are fantastic rooms synonymous with luxury and attention to detail. The Lopesan Costa Bavaro Hotel Adults Only Junior Suites Tropical are located in a unique and exclusive adults-only area of the hotel, perfect for relaxing in a peaceful setting. 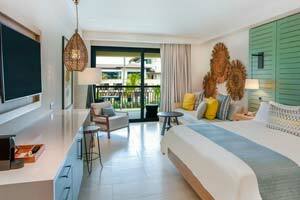 Enjoy a fantastic holiday in the Adults Only Junior Suites Pool at the Lopesan Costa Bavaro Resort Spa & Casino. 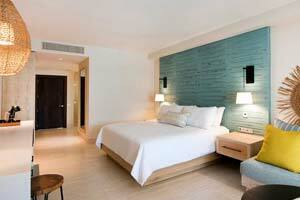 At over 43m2, it has warm minimalist decoration transmitting a fresh relaxed feeling. Its 11.9m2 terrace with marvellous views will make your stay at the hotel unforgettable. Enjoy a few dreamy days on one of the world’s best beaches, staying in one of the superb Adults Only Junior Suites Ocean rooms at the Hotel Lopesan Costa Bávaro Resort Spa & Casino. Book your five-star stay on the shores of the Caribbean Sea in surroundings designed for your well-being, where your rest becomes take the leading role. Treat yourself to a fantastic spacious room, full of light, in a specular and exclusive location - Playa Bavaro, in Punta Cana. 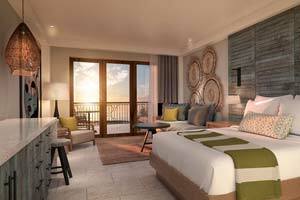 The Lopesan Costa Bavaro Hotel Adults Only Junior Suites Swim Up offer guests a spectacular room, where luxury and attention to detail are obvious from the minute you step inside. Luxury and exclusivity go hand in hand in our twelve spectacular Unique Adults Only One Bedroom Suite rooms at the Hotel Lopesan Costa Bavaro. Each of the rooms is more than 90m2 and offers our distinguished guests privileged views over the spectacular Caribbean Sea.